Melinda Kruper, right, of Assumption Parish in O'Fallon, visited with Jason and Misty Koenic and their children, Sam, Ethan and Maria, at their home on Aug. 1. In the papal visit to the United States in September 2015, Pope Francis urged Catholics to “meet others where they really are, not where we think they should be,” just as Jesus did with His disciplines about 2,000 years ago. Assumption of the Blessed Virgin Mary Parish has taken the pope’s message to heart, literally meeting parishioners where they are — at their homes in and around O’Fallon. In the past nine months, Assumption catechists have logged about 150 visits to parishioners’ homes — whether Parish School of Religiounor school families, avid or lapsed parishioners, semi-regular or Christmas/Easter parishioners. Melinda Kruper, left, talked with Ethan and Maria Koenig on a home visit to the Jason and Misty Koenig Aug. 1. Catechists are working through the parish roster of registered Catholics, who number 9,890 among 3,307 households and make Assumption the archdiocese’s third-largest parish in size and households. Under the leadership of pastor Father Mitch Doyen, Assumption continues to strive and build on "radical hospitality." Father Doyen described “the mission of the parish and direction of the parish … as rock solid” when he came aboard in June 2014. Home visits not only help put names to faces for Sunday Masses or parish/school events, but also allow the parish to put its best foot — and ministries — forward. In the home visits, parishioners have a chance to express interest in volunteering for ministries such as hospital visits or communion calls. Melinda Kruper connected with the Koenig family on a recent evening home visit. 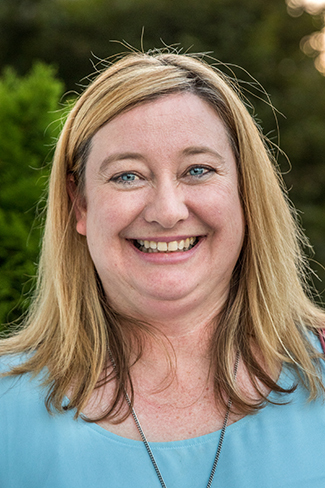 The parish’s director of religious education, Kruper makes visits herself (as does Father Doyen) and manages about 20 catechists for the home visits, which are set up in advance — either by a household reaching out or from a cold call by the parish. 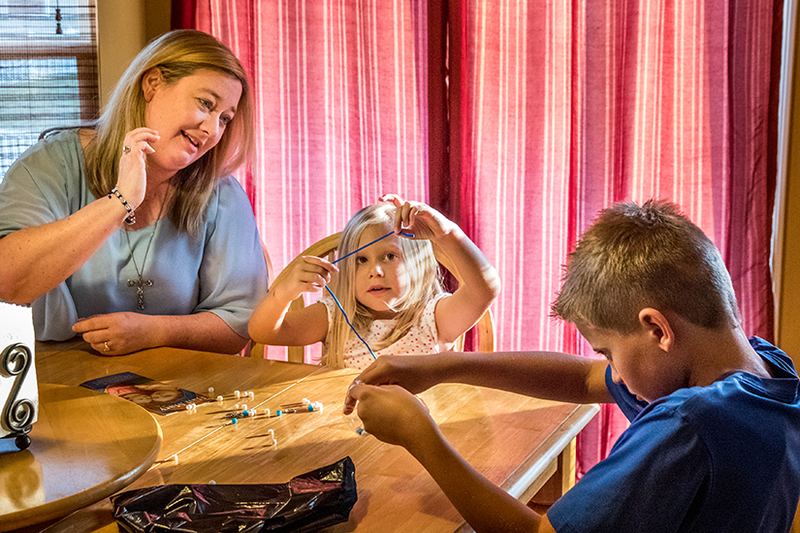 The Koenigs live about two miles from church, and Misty and Jason Koenig’s three children attend the parish school — Sam, 13, in seventh grade; Ethan, 9, in fourth; and Maria, 5, in kindergarten. With three children in grade school, they have an active schedule: practice and games in basketball, soccer and volleyball for the boys and dance for Maria. The school’s “Catholic identity” ranks highly for the parents, who moved into the parish after Ethan’s birth. Kruper and the Koenigs visited at the dining room table, discussing school, parish life and faith. Sam enjoys writing, which allows him “to be open about himself.” Ethan, who likes reading, showed Kruper a St. Christopher medal and a Sacred Heart statue that he had inherited from his late grandfathers. Maria tried her hand at assembling a goodie from Kruper’s gift bag — string and beads to make a Rosary. After about an hour of visiting, Kruper led them in a Hail Mary, then bid the family farewell. She and the Koenigs parted with a new-found familiarity. “Now we’ll be able to say, ‘Hello,’ to each other at church,” Kruper said.